Best Real Estate Attorney NYC - David J. Aronstam Esq. | 85 Broad St. 28th Floor, New York NY 10004 | Specializing in real estate law, residential, corporate, commercial transactions & litigation. At the law offices of David J. Aronstam, we specialize in all types of commercial, residential & corporate real estate law. Since 1992, we have delivered the highest quality legal services to clients from all over the country. We also have decades of experience in all areas of litigation, Trusts & Estates law, Family law, Business law, Matrimonial law and many others. 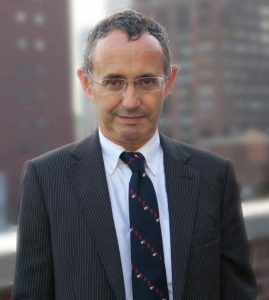 Admitted as a Barrister in South Africa in 1980, Mr. Aronstam has been practicing law in New York since 1984. From 1984 to 1992, he was an associate at McLaughlin & Stern, a prestige boutique engaged in a general civil practice which was formed in 1896. While at McLaughlin & Stern, he worked in all the departments of the firm and gained hands on and in depth experience in all areas of the firm’s practice which included civil litigation, real estate, securities law, corporate law, trust and estates and health care law. In 1992, Mr. Aronstam started his own firm as a solo practitioner and have practiced without interruption since that date. He was counsel to Mandell, Freedman & Mandell, the premier commercial leasing boutique in New York City from 1992-2000. 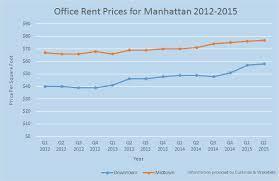 Deciding whether to buy or rent an office in Manhattan is not made by a “one-size-fits-all” perspective. 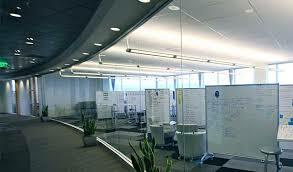 You have to determine square footage, cost, future growth, space for employees, and industry needs. Also, you have to know your position and if you have the capital to buy a place of your own. Location is crucial. Know your target market, demographics, and their locations. Geographic needs may limit your options for buying or leasing commercial real estate. Lastly, you will ultimately have to face legal issues during the process, such as negotiations, paperwork, and contracts. Working with a real estate attorney for office purchases in Manhattan will make the process a lot less confusing and leave you feeling like you made the right choice to buy or rent. Over the next few sections, take a look at some key differences in buying or renting an office space, as well as the benefits and drawbacks of each element. When leasing or buying an office in Manhattan, you’ll have to negotiate and sign a contract. Being really specific about your needs will give you less negotiating room with the property owner. Leases can range from 1 to 5 years, and the majority of them are renewable. The property owner deals with most of the maintenance concerns. 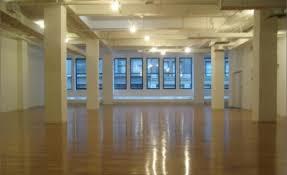 When purchasing an office in Manhattan you’ll most likely want to have a Special Warranty Deed issued. It protects you against liability for debts or damages caused by the previous owner. As with any major decision, hiring a professional that is looking out for your best interests can save you money, time, and future stress. A real estate attorney for office purchases in Manhattan can share his or her knowledge about the local neighborhoods that will be right for your business. Give us a call at (646) 759-0400 or send us a message at the law offices of David J. Aronstam. We can arrange for a free, no-obligation consultation to help you gain clarity during the decision-making process. One of the most commonly misconstrued topics around buying an apartment in Manhattan is knowing when it’s a good time to introduce a real estate attorney in the process. The short answer: at any time. However, there is more opportunity when planning ahead with a legal professional. 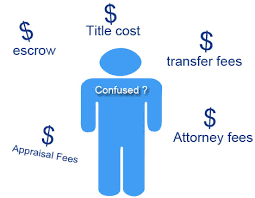 Ideally, you should have a real estate attorney lined up prior to having submitted an offer. Doing so will allow the seller’s lawyer to work out the offer details with yours. This act may also demonstrate seriousness on your part to the seller. If you are a procrastinator or busy-body, you might work with a lawyer after having accepted a deal. At this phase, it’s necessary to work quickly and hire a skilled real estate attorney for your apartment purchase in Manhattan. What I Expect from a Real Estate Lawyer? First off, you have a lifeline. Your real estate attorney should be responsive to your telephone calls or e-mails. Some attorneys have made it an internal policy to respond to all calls within a 24-hour period at the very latest. After signing your contract, your attorney will work with your mortgage broker and bank to make sure you get a loan commitment in writing before proceeding any further, as well as assist you in cleaning up conditions and requirements of the loan. When purchasing an apartment, your attorney will purchase and evaluate the title report. If you are acquiring a co-op, your attorney will buy and review the lien search to make sure that you are buying it free and clear. Your attorney will also appear at the closing with you, the seller, broker, the bank, and title company. He or she will also notify you of your closing costs and location of the closing. At this point, it is also a good idea to visit the unit one more time to ensure that it is still in the same condition you last saw it. The broker can help you verify that the appliances, electric, and plumbing works, as well. What to Do If You Don’t Have a Lawyer? If there is an issue contact your attorney so that it can be dealt with prior to closing. 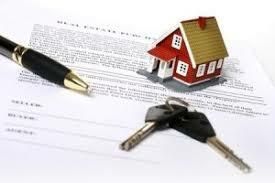 At the closing, your attorney will review and explain the closing process and documents that you are signing. 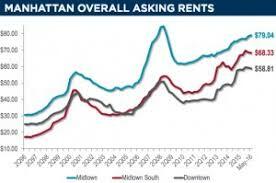 If you don’t have a real estate attorney for apartment purchases in Manhattan, contact Aronstam Law. We can help you move through the process seamlessly. What Should A Medical Office Know about Leases in Manhattan? 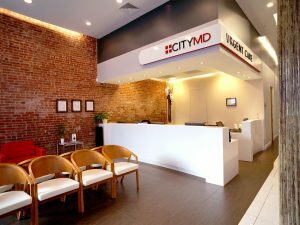 Private practice doctors in Manhattan are confronted with a competitive commercial real estate landscape when it comes to finding the right location. Then, he or she needs a lease agreement that covers the practice’s specific needs. 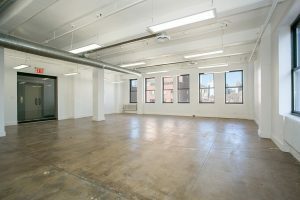 In this article we are going to take a look at what makes medical office leasing in Manhattan so unique, special considerations when property hunting, and the pros and cons of leasing or buying. One of the biggest distinctions between medical offices and other types of business is that medical offices tend to stay in the same location for long time periods. Competition for clients is stiff, which means that medical offices are not bound by proximity requirements to large hospital campuses, especially in Manhattan. It’s for these reasons that make medical office leases so unique. 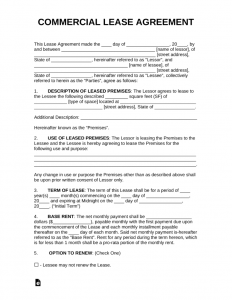 When a physician or physician’s group leases an office, the lease contract will typically be much longer than an agreement used by normal commercial tenants. Prior to signing anything, consider have a real estate attorney for medical office leases in Manhattan review the terms. Landlords tend to use contract templates they found online or drafted with an attorney a decade ago. Then, they fill in the blanks. Make sure you definitely bring this to a medical office lease attorney first. A practice will purchase or rent an office depending upon an array of elements such as the practice’s future needs and short-term objectives. 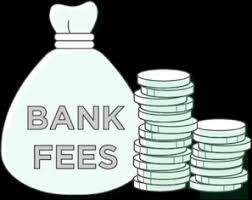 Funding can be a significant problem as it pertains to making a choice between buying or leasing. Usually, a practice that buys a medical office will try to offset the costs of the purchase by renting unused office spaces to complementary doctors. This thinking is logical and sensible. However, it rarely ever happens that way. Most doctors do not have the time to be a landlord on top of their medical duties. Therefore, many doctors find that leasing medical office space is more manageable for their schedule and budget. Instead of managing it on your own, your Manhattan medical office can work with a real estate attorney in developing a lease. At Aronstam Law, we understand what physician’s go through in the business landscape; we’re here to help you find a satisfactory resolution. Call our office or visit our website for a free, no-obligation consultation. 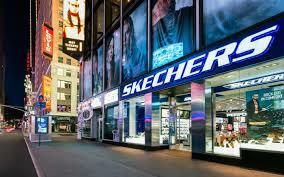 At times, there are many good reasons to terminate a commercial lease in Manhattan. One common factor is when a business is working through a rapid growth stage and a relocation is essential for growth. This situation requires an evaluation that determines whether you can lawfully break an existing commercial lease. 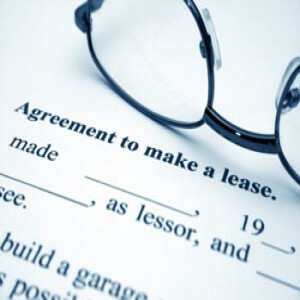 Preparation is critical before signing any commercial lease. Make sure that you negotiate a reasonable opportunity to exit the lease in case of having to leave the existing property in order for the business to succeed. It may not help to hear that now in this situation, but it is always good to know you have that bargaining power in future endeavors. An exit stipulation should be customized to your needs and a reflection of where you see your company in the future. 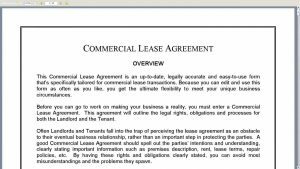 This part can get a little tricky, so it would be a good idea to speak with a real estate attorney for commercial leases in Manhattan. Further, you can always propose a much shorter lease term if you anticipate your business quickly outgrowing the location. When you are currently holding a commercial lease, bite the bullet and respectfully ask the property manager if you can break it. Depending upon the industry, the owner might agree to your proposal and decide to bring in a new tenant. Again, the feasibility of this happening depends on many things include location, demand, and general timing. There are always alternative solutions, and negotiation is always on the table for discussion. For instance, the commercial landlord might be open to a buy-out where you work out the payment for the rest of your tenancy. A commercial real estate attorney can use specific tactics to amend a commercial lease. The first step is to have him or her review the existing one to uncover opportunities to amend. If the relationship with your landlord is good and demand is high, the lease can also be re-written for an earlier exit preemptively. Another solution is to offer finding a replacement tenant at your expense. While the owner is not obligated to take the proposed replacement, it demonstrates good faith. Finally, you might have to break the lease and leave early. 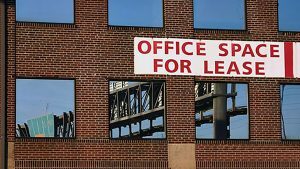 Sure, your property owner can sue you for the unpaid future rents, but some commercial leases hold a duty to mitigate damages. This means that your landlord must actively look for a replacement tenant immediately and not try to stick you with lost rent claims. Walking away should always be the last option and originate from absolute necessity. 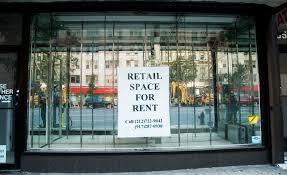 Just remember that you have options when breaking a commercial lease. These situations can be arduous and complicated. 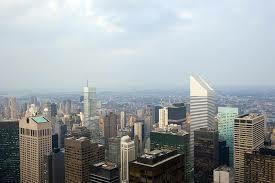 Always consult with a real estate attorney for commercial leases in Manhattan, like Aronstam Law. We can help you read through your documents and develop the right clauses and stipulations that keep your business healthy and in the right space. A commercial sales agreement is a vital part of closing the property transaction. The agreement acts as a map of the entire understanding. A correctly negotiated sales agreement will address concerns that occur between actions due to the fact that the deal continues at closing and exchange of the title. Due to major investments made when engaging in a Manhattan commercial sales transaction, it is important to make sure that you are using the right commercial sales agreement form. A real estate attorney is vital in this situation, as he or she can draft and file the legally-binding documents while keeping you apprised of concerns all the way through closing. When developing a commercial sales contract in New York, there are many documents that must be made, up-front, to the seller before he or she buys the home, including lead paint disclosures, promissory notes, power of attorney, and other relevant items. 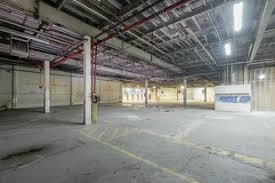 A licensed real estate attorney for commercial sales in Manhattan will be able to help you with this part. What is a Commercial Sales Agreement? Commercial sales agreements are sales contracts to acquire commercial property. 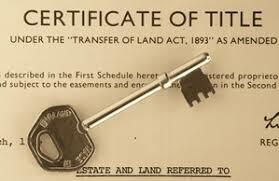 It can also be referred to as a “contract for deed” or land agreement. 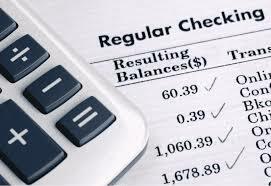 The purchaser usually obtains a commercial mortgage and repays the bank in installments on the note. There are other types of financial instruments and strategies that are used for the procurement of commercial real estate from another party. Since commercial investments have large capital requirements to fulfill, owners may offer a lease sales agreement, where the purchaser makes payment to the owner as agreed to in the contract. It’s along the lines of “rent-to-own,” only for the commercial landscape. The owner might also offer this to a buyer if he or she could not get approved from a mortgage with a commercial bank. A letter of intent is described as an initial offer that mentions the principal phases for a final written offer of purchase and sale. 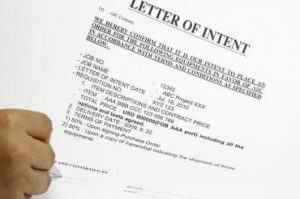 If the letter of intent comprises the important phrases and situations considered, the court can state that the letter of intent is a binding agreement. 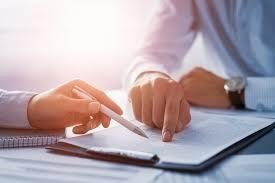 It has been held that the reality of the letter of intent is not binding and is simply a “jumping off point” to agree on preliminary discussions and work out the details in good faith and fair dealing. What Does It mean to ‘Make an Offer’ on Commercial Real Estate? A proposal is needed to acquire an offer. It needs to be crafted uniquely for the property desired, its purchase value, the date of closing, and other events deemed appropriate. Individuals, who can agree to a proposal, is up to the seller, not the buyer. Nothing is considered to be a binding agreement until completion of the entire transaction. 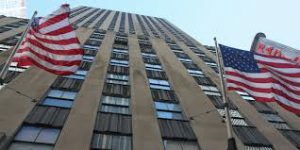 If you have found yourself need legal or professional counsel in matters of commercial real estate, speaking a real estate attorney for commercial sales in Manhattan. 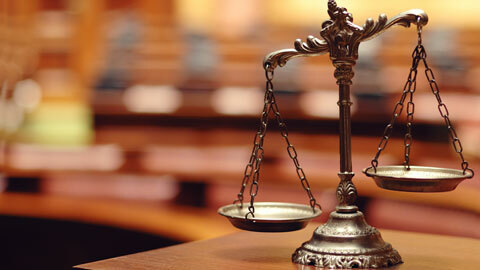 Aronstam Law is ready to hear about your situation and what types of solutions can be offered. Contact us today for a no-obligation consultation.